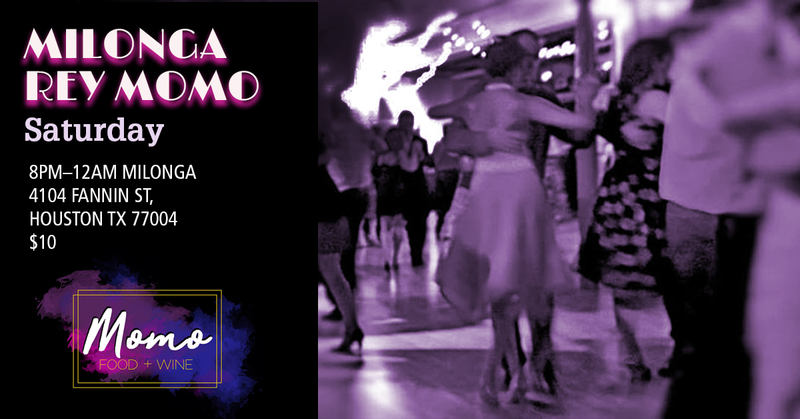 Join us at Momo Food+Wine for Rey Momo Social Dance. Featuring flavors from around the world. Delicious food & drink specials offered for milonga.